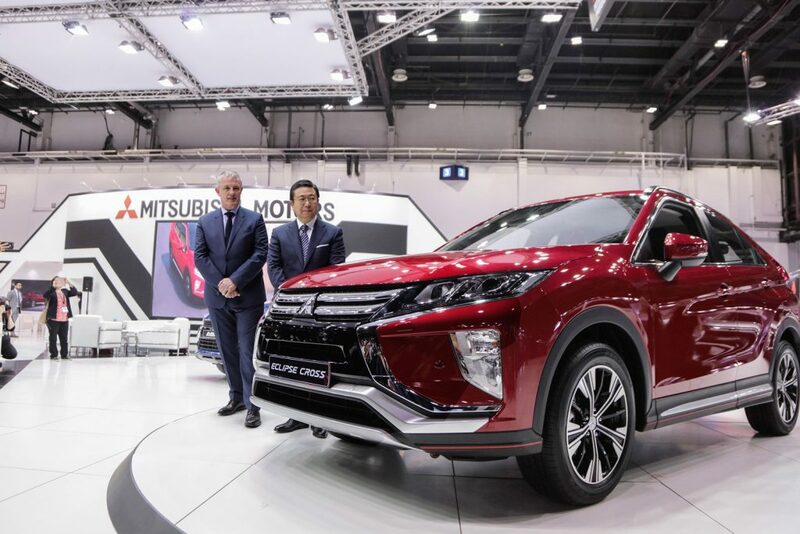 Al Habtoor Motors, Mitsubishi’s official distributor in the UAE unveiled Mitsubishi Eclipse Cross – the much awaited compact crossover during this year’s Dubai Motor Show which took place from 14th to 18th November 2017. The highly-anticipated biennial motoring event in the Middle East featured more than 150 automotive manufacturers from around the world. The five day event was attended by over 108,000 visitors from over 77 countries. Located in Hall No. 3, Al Habtoor Motors’ Stand No. 300 attracted the attention of the motoring aficionados with Mitsubishi’s new entrant. Dynamic, innovative and distinctive, the all new Mitsubishi Eclipse Cross is a fusion of sharp coupe looks and dynamic SUV mobility with signature Mitsubishi styling and performance. Powered by a direct-injection downsize turbo engine that provides superior fuel efficiency and rich torque, equivalent to a 2.4L engine. Boasting a S-AWC (Super All Wheel Control) system and high rigid body, the new compact SUV is built for rough roads and other challenging conditions while letting drivers stay in confident control with agility and quick response. The Eclipse Cross promises a new realm of driving pleasure. The Eclipse Cross will be available in the UAE from the beginning of 2018. Al Habtoor Motors Mitsubishi stand also had the other popular Mitsubishi SUVs like the legendary Pajero 3.8 & 3.5 versions, Outlander, ASX and Montero Sport. Additionally, the popular Mitsubishi cars like the Lancer GT & EX, Mirage and Attrage were on display at the stand. “With the launch of the all-new Mitsubishi Eclipse Cross we will be offering our customers in the UAE a new compact SUV in our lineup. After the successful debut at Geneva International Motor Show 2017, the new Eclipse Cross made its first appearance in the Middle East region at Dubai Motor Show 2017. We are not only thrilled to bring new vehicle to the market, but also were equally eager to meet the motoring aficionados, got direct feedback on the other Mitsubishi models and explored the new growth opportunities.” said Mr. Geoff Dowding – COO Al Habtoor Motors. “Eclipse Cross has inherited 100 years of Mitsubishi’s experience while being the first of an all- new generation of Mitsubishi automobiles that will be rolled out over the coming years. Within the global context of our Alliance, we will reinforce the position of Mitsubishi as a premier SUV and Electric vehicle manufacturer to contribute towards the development of this alliance.” said Mr. Masahiko Takahashi – President Mitsubishi Motors Middle East & Africa.